With our state-of-the-art ultrasound service you can cherish the miracle of pregnancy with your loved ones. The special bonding experience with the baby starts right there when you see your baby first time in realistic images! Our friendly ultrasound technicians at Barrie clinic has extensive experience in dealing with baby and pregnancy ultrasounds. Our high standards and expert team of professionals make UC Baby® Barrie the first choice of medical professional and parents for obstetric 3D ultrasounds. The systems, techniques and practices at our 3D ultrasound location are designed by Dr. Tina Ureten, a leading expert in elective 3D ultrasounds with more than 25 years of experience in the field. We enable you to share magical 3D Ultrasound experience with your loved ones and everyone who is excited about the baby news. At our 3D ultrasound clinic in Barrie, you can invite 5 guests who can come to the ultrasound room with you to catch a glimpse of your baby. Eight more guests can join your session online, watching it through our Live Broadcasting service. If you want to invite more guests you can use our Video On Demand service for the convenience of watching your session anytime from anywhere in the world. At our Barrie ultrasound clinic, you can get your baby's recordings on CDs, DVDs and USBs. 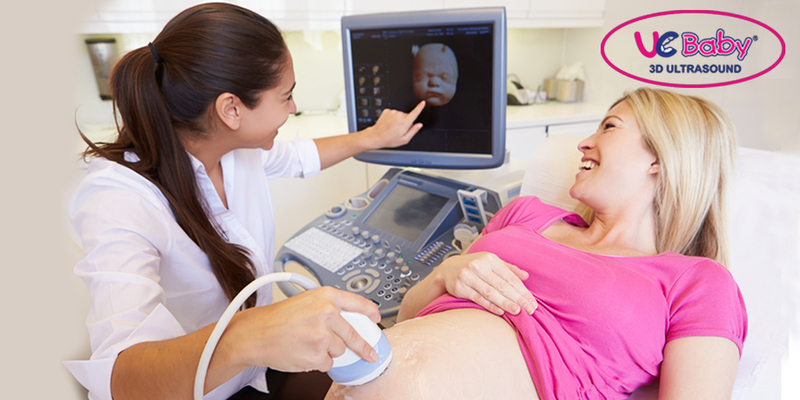 If you are eager to know the gender of your baby, you can get a reliable and guaranteed gender determination scan at our 3D ultrasound facility in Barrie, Ontario. If you want to watch the video of your scan online, you can easily watch it through our Video on Demand service. UC Baby® Barrie offers Gift Certificates which can be fantastic gift for new moms to cherish the magic of new life. We understand your concerns regarding the health and safety of both you and your baby. Even though ultrasound tests have track record of safety we use the best medical ultrasound equipment, and professionally trained staff at our 3D ultrasound center in Barrie. Our revolutionary machine provides high quality 3D ultrasounds while using the lowest possible power for your assurance. Had the best experience today at UC Baby Barrie! They were amazing and so much fun! So glad we were able to meet our little boy! Thank you so much for this opportunity!